What parts need to repair in auto repair shop? Mike's Tire Auto Repair > Blog > Uncategorized > What parts need to repair in auto repair shop? 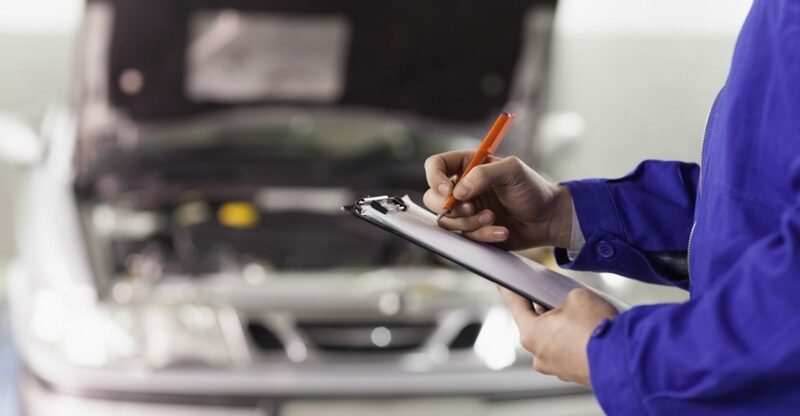 If your car is not working properly, then you need to take it to a car doctor. It is very important for you to get a checkup for a car. The technicians or car doctors will analyze the problem and give you the real cause behind the car goes out of track. Therefore, you should talk with the expert and know what the problems in your car are. It will help you get the best service of your car and it will actually make the car in a good condition. So, what are the parts that an expert will check? Brakes- it is really an important part of a car. If your brake fails, it can end up in a disaster. So, if you find that your car’s brake is not working properly, then immediately bring your car to an auto repair service center and fix the brakes of the car. Engine- If the car’s engine does not work properly, then your car will not move. Therefore, the expert will analyze the engine of the car in a proper way and you will get a perfect engine. They know better and they will repair soon. So, do not try on your own. Tire- As the car’s tire has a continuous friction with car, the tire wear and tear very frequently that is why; you need to check and pump up the car’s tire at a regular interval so that the tire do not burst and you can avoid road accident. Wiper- Whether the wiper is working properly or not please check them. If not, then the technician will properly replace or fix the wiper so that you can have a clear view while driving. It is really a good way to keep your car in a good condition. Different auto repair shops charge different prices. You can either take the reference from your friend or you can research online to find who is best at car service. Accordingly, you should compare their service and it will give you an idea on the service. This is a transparent way to judge the auto repair service and you will find the service with just a click. What are you waiting for? Grab this incredible opportunity to find the service online and save time and money. You can book an online appointment and talk with customer well in advance. If your car is not in a condition to bring to garage from home, then the technicians will send special van and crane to bring the car to the garage. You can also ask for customized service at home after the inspection of the problem. Though, it will cost you more but your expensive car will be easily repaired in front of your eyes. The service is really amazing and on-time so that you do not have to wait for too long. Getting a car service will also enhance the life of the car and you can easily go anywhere in your car.